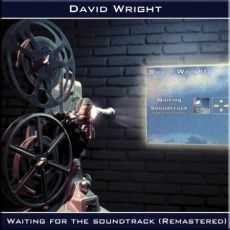 David Wright's third album, “Waiting for the Soundtrack” celebrates its 15 years by being the 5th album of the English musician to be remixed and to remasterisé for the needs of Spotify and of iTunes, as well as for other streaming platforms. Following the bases of Romancing the Moon, David Wright offered in 1991 another album where the diversity in the genres was very underlined. An album very appreciated by the critics with another skillful mixture of heavy and lento electronic rock, in the lineage of England School, which is filled of good melodies where the New Age harmonies a la Vangelis stay anchored easily to our eardrums, and of ambient moods as meditative as cinematographic with arrangements which peck at the ropes of our sensibility. And like the first 2 reworked versions of David Wright's catalog, “Waiting for the Soundtrack” preserves this little MIDI sound. An element which gives to it these flavors that Tangerine Dream presented between the years of Le Parc and Tyger. And that begins with an eruption of resounding, floating and sizzling lines which forge the bed of an interstellar ocean where are gliding layers of a synth loaded of celestial perfumes. Symphonic percussions attack the quietude of "Islands", giving a more intense dimension to a music which adopts pleasantly that of a movie of the 50-60 years. Here, no need of dialogue because the chords, which ring like those of an acoustic guitar, start a talk with the seraphic choirs, which have become the artistic signature of David Wright over the years, on a long structure of meditative and film ambiences that our ears can enrich of a stream of images without being very creative at this level. We doze off? No problem because "Emerald Eyes" wakes us with a good electronic rock tinted with a light Synth-Pop approach. A little bit old sound adds a charm to a music as lively as the harmonies are weavers of musical itches. "Shadowlands" is also a title of film ambiences with more intensity than "Islands". The music is like a scarlet thick cloud where skips a line of sequences and float synth layers a bit silvered to the colors of Tangerine Dream in Green Desert. "Lovelight" is a superb ballad hyper melodious with an acoustic guitar which spreads a very pensive structure whereas the synth whistles a melody which crosses us the envelope of the soul. "Desert Storm" takes back a bit this melodious approach on a slightly livelier structure. It’s some good David Wright, here and on the very beautiful "Always" who always excels at the art to tickle some sensitive inner strings. "Cloudless Flight" is another good electronic rock with a light and very accessible approach. The rhythm attaches its jolts in a mosaic of sequenced spasms to which are added orchestral layers, fluty harmonies and silky arrangements. 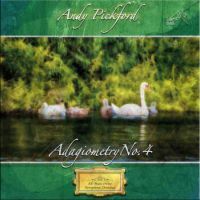 The title uses well its 8 minutes with an evolutionary approach at the level of the arrangements and the melodies, although the main structure of rhythm remains Teutonic throughout "Cloudless Flight". It’s a track which had seduced the criticisms back in 1991. "Lady in the Night" is a good lento E-Rock with an always so hyper melodious with a very Tangerine Dream approach at the level of synths. Here as in all the music of David Wright, the arrangements and the melodies don’t stop to interlace in a musical embrace always so intense. After "Rainwalker", which is situated between a ballad and a lively E-Rock flavored of the spices from the East, "Always" brings us back to these wonderful lands of dreams which are often the link which connects us with this very Vangelis approach of David Wright. In a structure a little livelier but as much ready as that of "Cloudless Flight", "Run for the Sun" begins its departure with a meshing of percussions and drummed sequences. The harmonies are whistled over some orchestral layers with effects of dance music of the 70’s. After 3 minutes of steady structure, "Run for the Sun" takes an ambiosonic bend loaded of ethereal atmospheres pierced by effects of sequences carbonized into cryonic gases. Little by little the skeleton of origin starts again limping with noisier effects in the percussions, kind of techno Jarre style, and more luxuriant synth layers with a mix of celestial voices and orchestrations which add a New Age depth to the music. The title-track ends this David Wright's 3rd solo opus with powerful orchestrations which waltz in the crashes of symphonic drums. The power gets calmer and plunges into a seraphic choir from where shines a soft reverie strummed on a keyboard. This delicate keyboard draws the lines of a soft melody which grants its fragility to layers of violin of which the angelic caresses feed the fire of "Waiting for the Soundtrack". An electric piano invites itself to this morphic serenade with stars which sparkle in a cosmos which in the end sees its celestial bodies being pulverized by the outburst of scattered bass drums. And the effects of surprise have the same effect on us as on the celestial bodies. But whatever it’s from the cosmos or the oblivion, the Earth as the oceans, “Waiting for the Soundtrack” possesses all these attributes which invite us to make our cinema in our head. And whether it’s ambient, New Age or big electronic rock made in England, David Wright had confirmed with this album that he was not a flash in the pan but well and truly a dominant artist who was going to leave his imprints in the very big sphere of EM, Berliner style and its substitutes. Once upon a time, there was a guitar, a very beautiful guitar, and a piano, a very nostalgic piano, which decided to defy all etiquettes in order to unite their contrasts in a surprising musical duel. “Where there is Light” is the last audaciousness of Spotted Peccary. Audaciousness because the legendary American label gets off the beaten track with an album which challenges the borders of a musical genre with a more classic approach which fights for offering its short melodies in the scarlet shadows of a guitar and of its electronic effects. Catherine Marie Charlton protects here jealously her meditative notes and her short skillfully scattered melodies, that she has created and makes glittering on her Steinway, from the bites of a very intuitive slide guitar. Carl Weingarten as for him makes float his shadows and his sibylline guitar layers with a tenderness all dressed in black with a slide guitar as incisive as that of Steve Howe. Both artists so join their thoughts melted in music in a so meditative album as leads us to forget time. This interesting rendezvous starts with a note of dark piano of which the fall provokes a large ray of reverberations to welcome some other finer notes which fall such as grains on the meditations of a shadow which persists with a slow morphic movement. Catherine Marie Charlton defies this shade and throws tears from her Steinway which tinkle like pearls of solitude while Carl Weingarten persists in dragging out a guitar wave which sounds as that of a synth. Then follows a surprising hyper melancholic and floating ballet where the piano and its crepuscular notes becomes the fellow traveller of a slide guitar and its tears which grind our soul. "Attunement" throws the patterns of a very beautiful album that nobody expected because of its improbable piano/guitar duel. The title-track is the first nugget of emotions which decorates the parameters of “Where there is Light”. Soft, the piano spreads a bed of meditative pearls with a nostalgic melody which scatters its notes on the thoughts of a six acoustic strings and the groans of a slide guitar always so vampiric. The line of bass which crawls as a wildcat fawn lying in wait does very Patrick O'Hearn. "Refuge" highlights more Carl Weingarten's guitar on a music which tortures its ambiences as the seconds pass. Carl Weingarten weaves beautiful solos of electric guitar, as well as these intrusive layers which cross the 43 minutes of “Where there is Light”, while the piano is sometimes soft and sometimes choleric. "5 AM" highlights more the very meditative piano of Catherine Marie Charlton. The chords are heavy and reflect this feeling of powerlessness which eats away at the anger of the sleepless minds. More discreet, the guitar throws waves which are lying about as vapor of ether and organizes a festival of ethereal loops which seem to run for the infinity. After these almost 8 minutes of night-meditation, "Space Race" acts as an electric shock. The guitar injects a series of panting loops which run nervously in the background while the piano, totally disconnected from this decoration of race, develops a plan to stay in its pattern of contemplative nostalgia. Very active, the guitar feeds its loops which are sometimes passive and at other moments more aggressive, while letting wander floating tears or some long dying wah-wah. "Comfort in Silence" brings us back to these ambient settings of “Where there is Light”, with a peaceful duel piano/guitar. Sometimes quiet and sometimes intense, the music flows as a spring water on a planet not far from our imagination. "September Coming" offers a structure as slow as that of "5 AM". Except that here it’s the slide guitar which roars as that of Steve Howe in the pre Soon from Gates of Delirium. A slide guitar which offers a structure more Jazz and Lounge in "Arabow". It’s another track to dream without wanting to sleep which ends one of the most interesting discoveries this year. 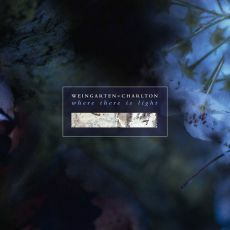 And if we have only one album to get in 2016 in the field of ambient and meditative music, put your money on this surprising and fascinating album of Weingarten and Charlton; “Where there is Light”! Stridulations and synth waves with disparate chants open this last album of TM Solver. Quite slowly, "Council of Elders" gets tied-up to our ears with a delicate permutation in the floating airs of a synth and of its lyrical approach. This short introduction of atmospheric particles accentuates the approach always very scenic of Thomas Meier who always manages to fetch a point of intensity where the listener expects it least. "Peripterous" starts where "Council of Elders" has run aground. Except that here the layers of dark voices replace the drifting harmonies of the synth and a line of bass sequences draws a heavy and slow rhythm, as a hypnotic ascent, with other sequences which gurgle of a bitter tone by chewing this fascinating climbing filled of soft fluty perfumes and of synth lines of which pierce our eardrums like an effect of worn bagpipe. The structure hits a small wall of atmospheres around the 7 minutes, evacuating some sequences in some thin lines of starving voices, before resuming this badly defined rhythm which eventually sounds like a good morphic cosmic Funk. Thomas Meier feels always very at ease in the art to develop long minimalist structures by adding effects and modulations in the sequences which enrich his long sonic crusades. 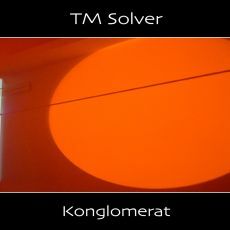 It’s the essence of “Konglomerat”, already the 11th solo album of TM Solver which turns out to be his most accomplished on the German label SynGate. Long very juicy sonic torsade as well as ethnic percussions open "Friendly Woodoo" and its evolutionary corridors. Sequences sparkle from everywhere, creating an electronic language with syllables which whirl on the oscillating curves of a good line bass. Jingles release forms of different tones and our ears perceive even a strange panting in this universe multicolored of ill-assorted tones. And a strange approach of mechanical octopuses, which have difficulty in unsticking their suction cups, gets bind to these percussions which worked hard all alone at the dawn of the 4 minutes, bringing a first change of phase of "Friendly Woodoo" with percussions/pulsations which modulate a kind of morphic Techno. The solos float and the effects of synth multiply the attacks, like fireworks which stain of unreal colors one night of absent moon. Playing on this minimalist approach, TM Solver develops a good structure decorated carefully which will continue for some next 10 minutes. Intense and ambient, "Specters in Little" justify its place by a good floating movement with layers of organ filled of dark tones which add a darker weight to “Konglomerat”. Decorated with these effects of percussions and with cybernetic language which crown the music of this last opus of TM Solver, "Rumpelstiltskin" offers a strong rhythm which follows the one of a train. The movement increases appreciably the pace with a fascinating effect of breathlessness under the purring of a synth which scatters aptly these rumbling layers which follow the course of "Rumpelstiltskin" since its zero point. After a small ambient phase, the rhythm regains some tonus with a livelier and pulsatory movement under a night of stars which break and some skillfully scattered harmonies of a synth. It’s a good title and a good hypnotic New Berlin School very Keller & Schönwälder with a beautiful tint of Groove, like in "Peripterous". Madder, "Heart of Synth" unties a package of small sequenced Spirograph patterns. The movement is lively and curt with spirals and circles which interlace their oscillations in a surprising continual coming and going of sequences in tones and in beatings just slightly different to seduce those who remembers the wonderful work of Frank Klare. And the solos! Always very aerial and harmonious that we float with their airs. I like the minimalist universe of TM Solver. Thomas Meier sets up high walls of charms everywhere around his structures just with enough nuances in tones and forms to seduce amply those who favor this kind of EM. It’s some good New Berlin School with the vision which differs due to the massive use of synths among which the solos, the harmonies and the effects inject a dose of sedation on hard, brisk and lively rhythms. Yeah… in the end, “Konglomerat” is a very good album! There are really good things happening on the side of SynGate. From electronic rock to a form of very cauterized ambient and this good old Berlin School, the German label is always lying in wait and ready to throw us a new refreshing thing. This time it’s about a new trio formed by Marcel Margis, Thomas Meier, the man behind TM Solver, and Andre Danker for the acronym MTA Lab. This new trio goes of a concept largely used for the kind with jam sessions which are recorded then edited in the studio of TM Solver. Thus to the menu, repetitive structures of which the long periods of times give all the latitude necessary to the 3 musicians to make them progress with hypnotic rhythms, even if they are nervous and shaken, effects and harmonies of synth under forms of solos tinted of sibylline airs. The meshing between sequences, as rhythmic as harmonious, and percussions is also efficient as the heat of the synth layers and solos. Sequences jump up from an ear to the other. Hanging to some metallic jingles, the rhythm of "ATM Resonanz" accepts layers of dark voices before being rerouted towards a more technoïd beat with the coming of robotics percussions. Thin lines of sequences flutter around this motorik rhythm and the bass pulsations of the percussions resound underneath the chants of a bewitching caliph. Other percussions get in. And their random hits give an impression that the rhythm of "ATM Resonanz" evolves, while it always stays in its minimalist envelope. The solos of synth abound all over the musical arcs of “Synthetica”. Here they sing and shed their sonic skin with a lot of musicality, injecting into this repetitive structure the arguments necessary so they flow with more ease between our ears. This hopping rhythm and these solos with delicious electronic dialects remind us, here as on "Dawn Voices", the fragrances of Keller and Schönwälder in their beautiful years from 96 to 00. Strange Funk that is this "Scritti Funk" and its motionless rhythm which skips and stirs nervously around flickering sequences and bass pulsations, here the paradox with the style of Franke on the sequencer is rather obvious, haloed of beautiful ethereal layers and pretty nice solos filled of the analog warmth. "Complexion" has more the looks of a cosmic Funk with a sharp and jerky rhythm which is always tied around this mixture of sequences and nervous percussions. The bass line resounds piercingly and the synths are always so warm with more apocalyptic layers a la sauce Vangelis. The title-track is the most peaceful one of “Synthetica”, although "Ice Dance" is not outdone. Always embroidered around these sequences which jump up from a sphere to another one and with this line of bass which gurgles by crawling, the rhythm is less nervous and flows slowly into an ambience as seraphic as cosmic. The harmonies of the synths are like those of interstellar whales which sing in symbiosis with those mermaids a little gypsy. If the 16 minutes of "Dawn Voices" pass better, because of its evolutionary formula, those of "Synthetica" show a length which does not escape to the cerebral dullness. The pattern of sequences on "Ice Dance" is also filled with Chris Franke's influences. 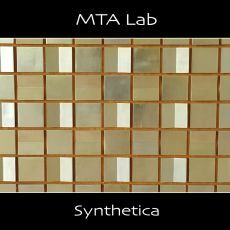 More ambient title of “Synthetica”, this last title of the first opus of MTA Lab is also the one which gets closer the most to the repertoire of Tangerine Dream. The rhythm is ambivalent and spreads a pattern of pulsating sequences in the background while the main rhythm hesitates between to sleep or dance. Synths are more musical here and inhale, as the effects and the ornamental layers, the fragrances of Edgar Froese. It’s this kind of track we have to listen more than once before catching it. But it worth it! This first musical rendezvous with MTA Lab is rather promising. Sequencers and percussions are treasures of imagination which bewitch as much as these synths which are a surprise with their haloes of heat. The style reminds me a little that of Von Hallgath, blackness less. And at the end of the line, “Synthetica” is an album which is going to please to the fans of Keller and Schönwälder and to those who like a more modern Berlin School with an approach of morphic dance peculiar to the long repetitive, but not boring, structures of dances for Zombies marinated in ether. Another good discovery from SynGate! Maybe that the name tells you nothing! And if do I join the one of Loom? Those of Jerome Froese and Johannes Schmoelling? Hey yes … Robert (Wässer) Waters is the 3rd part, non-unimportant, of Loom. This musician and producer is very active on the Berlin scene from the beginning of 2000’s in the genre of electronic synth-pop with numerous arrangements which were worth him a pretty good recognition. It’s at that time that he met Johannes Schmoelling, in particular during the reedition of the White Out album in 2000 when he made the remixed version of Icewalk with Ulrich Schnauss. And it’s in 2011 that Waters joins the Loom adventure. He signs 2 compositions on the first E.P. 100 001 and we notice an approach which rocks between the electronic rock of Jerome Froese and a more New Age music. Now sailing between heavy techno, electronic rock and a hyper melodic synth-pop, “Time Ahead Time” proposes an EM knitted in the interstices of Loom. From the outset, I have to tell you that my 1st listens of "Metamorphosis" left me of ice. This title that we heard on Years in Music is a spiral of joyful feelings on an air of French movie where the attractive young lady shows her enjoyment by waltzing dozens circles the smile on the lips. It’s kind of a good (we eventually end by liking it) synth electronic pop which does very Jean Michel Jarre, period Metamorphoses (sic!). Heavier and in a Teutonic electro-pop style, "Magicoscope" is very energizing with good nervous sequences and a very harmonious synth. Take note that these 2 titles propose voices, that of Izzy Weissgerber on "Metamorphosis" and an other one non-identified on this title of which the contribution of Jerome on guitar is rather timid. The production is very make with good arrangements which add some drama and intensity as well as structures of rhythm which are quite lively. "Everyone is a King in Solitude" is a superb melody sat on a great sequencing pattern, sober percussions and a roaring bass line. Robert Waters lays down a sentimental depth which inhales the melody of "Metamorphosis", But in a mode more ambient. This title gave the goose-flesh to me by exploiting in a wonderful way its too short five minutes. Splendid! Between the hard E-Rock of the years Jerome Froese in TD and the synth-pop with the starry harmonies of Ulrich Schnauss, "Landscape 3928" is powerful and breaks down our eardrums. There is of quite in there, even a passage of Trance Music! 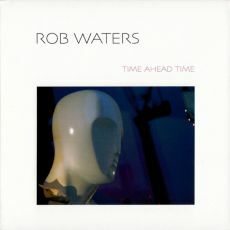 Robert Waters' keyboard seems to be hung on the same harmonious syllable which charms us throughout “Time Ahead Time”. It’s how "The Future Gods" opens. It’s a wild track which switches shapes quite often with good arrangements. Except that it has the defects of its qualities; either a too obvious lack of homogeneity. All the opposite of "Biocommunication" which remains heavy and lively. The effects of stroboscopic voices are a bit pastiche but the sequences are breathtaking. The title-track ends this Robert Waters' 2nd E.P. with effects of cut out voices and gathered in a long movement of stroboscopic voices on a structure of non-rhythm wrapped up in a passage of atmospheres going up in crescendo. Here as all over “Time Ahead Time”, the arrangements are splendid, the synth effects and the studio work (mixing, sound effects, mastering, etc. …) are very well make. Showing to all that Robert Waters is not just a guest in Loom. It’s beautiful and good! It’s done properly and that is going to please certainly the fans of Jarre in his synth-pop era, of Ulrich Schnauss and of Loom. The at the same time lascivious and vampiric melodious shadow of Granite was the real 1st imprint that Martin Nonstatic left in the eardrums of the fans of the fuzzy and soft rhythms of the attractive world of Psybient. 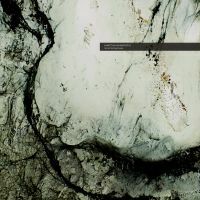 And according to this wave of remix offered in vinyl by the Ultimae Records label, Granite is revisited by 3 artists who breathe these ambiences of glitch, of white noises, of granular and movements of statics atmospheres in a universe where the sounds never have borders. And it’s to AES Static which goes the privilege to throw his artistic vision in the small sonic arena of “Granite Remixes”. Azure hoops, which are transformed into celestial chants, and brief knocks of percussions machine-gunned from far-off are diluting their perfumes, while this monstrous bass line, which attaches this fascinating melody of Granite, resounds in the 4 corners of our head. Here, the ambient Techno is king. It stretches the steps of its slow pace, one would say this dance of Zombies in Thriller, in a universe of perdition where the noises and the effects of a parallel world flirt dangerously with ours. "Granite (AES Static Remix)" leaves sometimes its stellar energy in phases of rather psychedelic moods, which are often illuminated by the mutation of the bluish hoops into a spectral choir, before haunting our 2 hemispheres with a livelier tempo and always so heavy of resonances. In spite of the efforts of AES Static, the melody of Granite is at the top of his impressive carpet of sound effects. And it's the very opposite of Esko Barba’s visions which is rather in the kind Deep Dub Techno. If the rhythm is more lively, the fauna of micro-organic tones is of the most attractives with a plethora of strange noises and of glitch which get melt in these immense hoops of sounds and these effects of percussions from which the charming echoes disappear in this pond of psychedelic moods. Not my kind, but my ears were sniffing a start of addiction! Always very ethereal in his approach, James Murray transforms downright the roots of Granite to make it a long moment of pulsatory frolics, kind of Ambient House, beneath a sonic great wall where these azure hoops which forge the inmost atmospheres of Granite mutate into seraphic choir. Different and it’s not also my cup of tea. So I let the care to the fans of the genre to write down their reflections. But as for me, “Granite Remixes” passes the test with 3 remix which add a lot of depth to this music piece of Martin Nonstatic. And it’s very pleasant to re-hear this melody which haunts you some hours later in a universe which does not belong to it but whom it fits pleasantly.